Horror movies have always been seen as the ‘stepping stones’ of the movie industry, and many stars have used the genre before moving onto bigger and better things. Sure, there are actors who are happy to spend their entire careers toiling away on the sets of B movies and slasher flicks, but there are also those A-listers who are slightly more embarrassed of their humble beginnings. 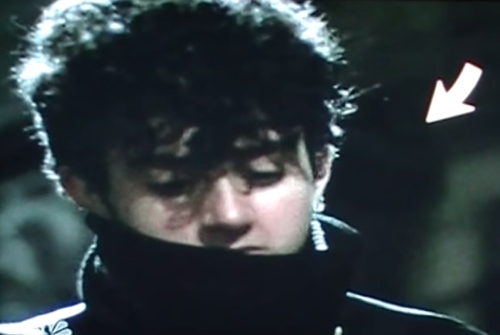 These days he is better known as playing the ‘McDreamy’ Dr. Derek Shepherd in hit TV show Grey’s Anatomy, but Patrick Dempsey got his big break in Hollywood starring in the awful 1985 low-budget horror romp The Stuff. Taking on the uncredited role of ‘Underground Stuff Buyer #2’, Dempsey plays a knife-wielding thug who is eager to his hands on the gooey, addictive ‘stuff’ which is taking over the world. Unfortunately (or fortunately, if you want to look at it that way), Dempsey is only on screen for less than 5 seconds and his face is half-covered by the jacket he is wearing. 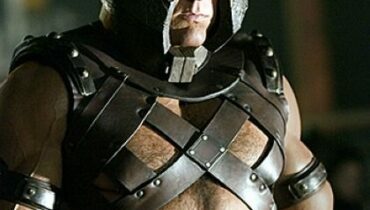 However, Dempsey’s not the only future A-list star in the movie. Future Oscar winner Mira Sorvino plays a factory worker in another brief cameo, but she probably got the part because her father Paul Sorvino plays a main role in the movie. 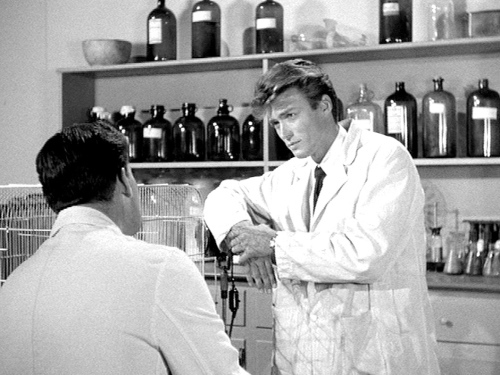 Before he donned his six shooter and poncho to become one the definitive legends of the Western genre, Clint Eastwood made uncredited appearances in sci-fi B movies like Tarantula and Revenge of the Creature. These brief parts didn’t really hit at the superstardom Clint would go on to achieve, but everyone has to start somewhere. Although his first big screen appearance was as a smarmy fraternity pledge in Animal House, Kevin Bacon’s Hollywood success came hot on the heels of his part in cult slasher Friday the 13th. Playing one of the doomed counsellors stalked by a mysterious slasher at Camp Crystal Lake, Bacon gets one of the goriest and most memorable deaths in the entire movie. While lying in bed, Bacon’s character Jack is suddenly grabbed by two arms from underneath the mattress and has an arrow thrust upwards and out of the front of his neck. Friday the 13th was a surprise box office smash and Bacon quickly went onto bigger and better things. John Travolta made his big screen debut with a bit-part in the largely forgotten Satanic cult B movie The Devil’s Rain, but he had more success the following year playing the part of Billy Nolan in Carrie. As one of the main antagonists of the movie, Travolta gets plenty of screen time and there’s no doubt that this part helped launched his career (his next movie in 1977, Saturday Night Fever, made him a bonafide Hollywood star). However, unlike most of the other entries on this list Carrie was a legitimately well-made and critically acclaimed movie, and it was even nominated for two Academy Awards. It’s strange to think that the nicest guy in Hollywood cut his acting teeth in a slasher movie. Clearly inspired/ripping off Halloween, He Knows You’re Alone is an almost completely forgotten horror movie from the early 80s. 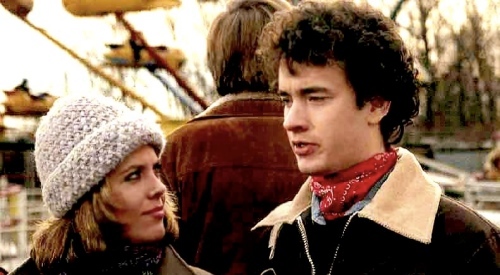 Hanks has a small part as a student who briefly befriends the lead character who is being stalked by a mysterious serial killer, but it’s quite surprising how at ease he is in front of the camera. In fact, the filmmakers apparently liked the future star so much that they didn’t film his death scene, which explains why he suddenly disappears from the movie after his very brief appearance. There’s no denying that Leonardo DiCaprio has one of the most impressive resumes in Hollywood and he has a keen eye for spotting worthwhile projects. In recent years, Dicaprio has worked with the likes of Martin Scorsese, Christopher Nolan, Steven Spielberg, Quentin Tarantino and Baz Luhrmann, but he didn’t always get the choice of the juiciest movie roles. After working in TV for some years, Dicaprio made his movie debut at the age of 17 in the horror sequel Critters 3. Critters wasn’t quite the most lucrative horror franchise and the movie went straight to video upon its release. Dicaprio plays a young boy who, along with another family, is terrorised by the alien Critters in a tower block, and his looks helped him play a much younger character (he was 15 when the movie was filmed, but looks and acts more like a 12 old). 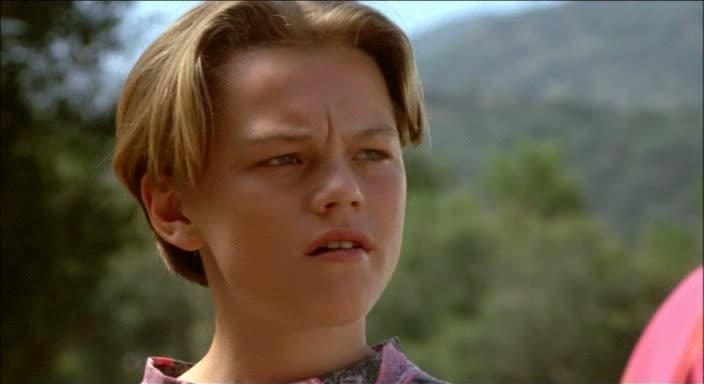 Perhaps predictably, the movie wasn’t quite the breakthrough part for the young actor, but Dicaprio caught the attention of Hollywood a year later with critically acclaimed performances in This Boy’s Life and What’s Eating Gilbert Grape. Renee Zellweger is remembered for her romantic comedies as well as her dramatic, Oscar-nominated roles, but one of the most interesting blips in her early career was her leading role in Texas Chainsaw Massacre: The Next Generation. Acting opposite Matthew McConaughey (although he had a memorable turn in Dazed and Confused a year earlier, this was his first starring role too), this promised to be the ‘true’ sequel to the original cult horror movie following two fairly disappointing entries in the series. However, despite a weird and manic turn performance from McConaughy, the sequel proved to be another retread of the Texas Chainsaw model. 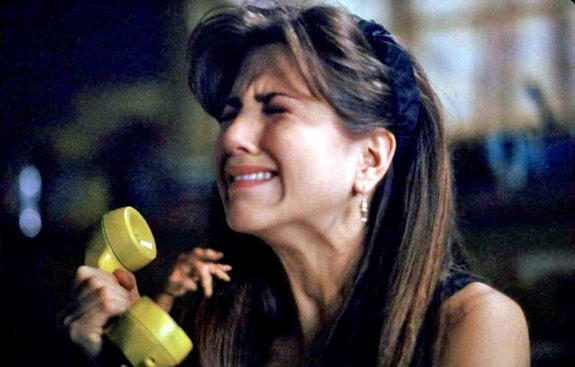 Even worse, the movie suffered from constant setbacks and re-edits in post-production and it didn’t reach theatres until 1997 with a limited release. By that point, both Zellweger and McConaughy had pretty big hits under the belts and the movie served as an embarrassing reminder of their earlier acting days. 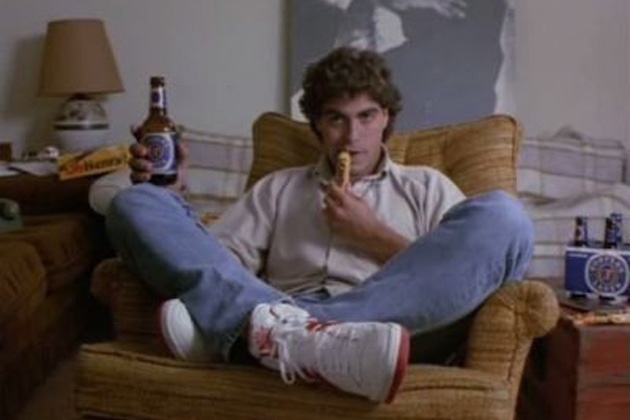 George Clooney’s early days as an actor can be best summed up as ‘sketchy’. The grey-haired heartthrob only began to enjoy success when he was well into his 30s thanks to his starring role on TV medical show ER, but prior to that he had spent many years in the acting wilderness. Bouncing between one-off and semi-regular roles on shows like The Golden Girls, The Facts of Life and Roseanne, Clooney also failed to reap any sort of success with his cinematic offerings. In his defence, both ‘Return’ horror movies were at least tongue-in-cheek and didn’t really set their sights too high (if anything, Return of the Killer Tomatoes tried far too hard to be a schlocky movie), but neither of them were good by any stretch of the imagination. Johnny Depp has always had a fairly odd career and he has successfully juggled weird arthouse indie movies with blockbuster smashes. Thus, Depp’s acting debut in A Nightmare on Elm Street seems pretty appropriate for an actor who has always defied conventions. Playing the boyfriend of the lead character Nancy in the breakout horror movie, Depp landed a pretty juicy role for his first acting gig. Although his performance didn’t hint at the off-beat quirkiness which he would rely on time and time again later in his career, Depp gave a solid performance and, like Kevin Bacon, he too got one of the most iconic death scenes in horror history – he is sucked into his mattress and turned into a geyser of blood by Freddy Krueger. Depp shot to fame after starring in the TV show 21 Jump Street and became a pretty boy teen idol (an image he desperately tried to shake off in the years following the show) but, to his credit, he returned to the horror franchise which launched his career. Depp had an uncredited appearance in Freddy’s Dead: The Final Nightmare, the sixth movie in the Nightmare series which was released in 1991. In fact, director Wes Craven considered asking Depp to make another cameo in the weird meta sequel New Nightmare in 1994 but feared that Depp was too big a star at that point to accept the offer. Depp heard of this after the movie’s release and said that he would have still done it if he had been asked.